Seller will give you a gift certificate in the amount of 6,95 RUB for a positive review of the product purchased. 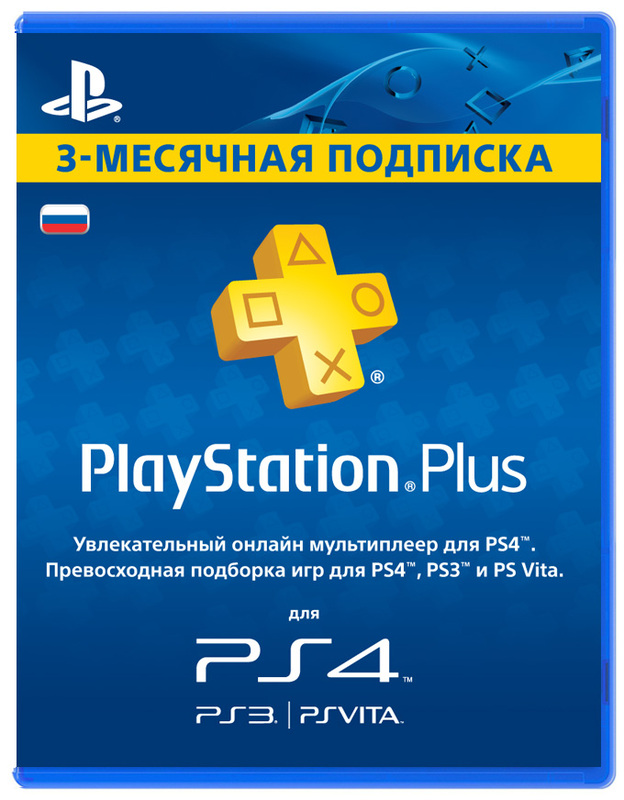 You buy a PlayStation Plus activation key (PSN Plus) 90 days (Ru) - a 90-day subscription for use on Russian accounts. You are waiting for first-class exclusive games, materials, special offers PSN, available only to subscribers and much more. PlayStation®Plus is the world´s largest community of new generation players. Online game on PS4 ™: PlayStation®Plus is the only way to play PS4 ™ games with other players, be it your friends or rivals. The games of the month: you can download free * 24 favorites for PS4 ™ games per year. Exclusive discounts: special offers on games and additions for them in PlayStation®Store. Online storage: 10 GB of cloud storage will accommodate all your save for games on the PS4 ™. Early Access: Access your favorite projects and beta versions before anyone else. * You can play games of the month only if your subscription is active. We would greatly appreciate your positive feedback. If you do not have time to write a detailed review, then leave, please, just "+" or "ok". It does not take your time and is very important for us and our future work. Thank you in advance! Seller will give you a gift certificate in the amount of 6,95 RUB for a positive review of the product purchased..